In just a few weeks, Queen Elizabeth will overtake Queen Victoria as Britain's longest running monarch. 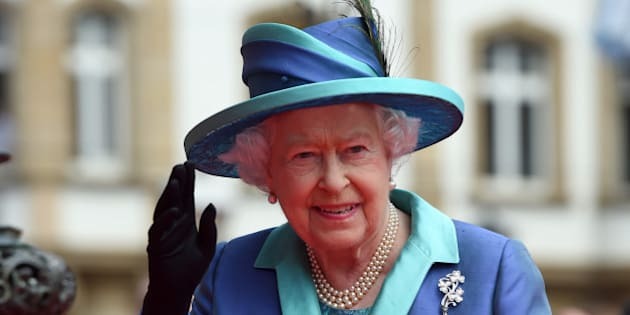 The Queen, 89, who was crowned on June 2, 1953 will pass her great-great-grandmother's 63-years-and-216-day reign on September 9. And the British Monarchy plans to celebrate the historic moment with a series of events, activities and exhibits at Windsor Castle, Buckingham Palace and the Palace of Holyroodhouse. One of the photo exhibits, entitled 'Long To Reign Over Us', will feature images of Her Majesty Queen Elizabeth II from 1952 until the present day. The collection will be a mixture of portraits and photographs capturing both momentous occasions and everyday scenes that have taken place during the Queen's reign. Visitors who purchase tickets to Buckingham Palace's Summer Opening will be able to enjoy the exhibit from September 9 to 27. Those visiting the Palace of Holyroodhouse, meanwhile, will have access to the exhibit until January 5, 2016 and until January 28, 2016 at Windsor Castle. The images move to Castle Hill and the North Terrace on October 6, 2015. And for those who can't make it to the London to see the exhibit in person, the Royal Collection Trust is publishing an official souvenir album, complete with 250 colour photographs. Get a sneak peek at some of the images in the slideshow below.